Der Erwaehlte. 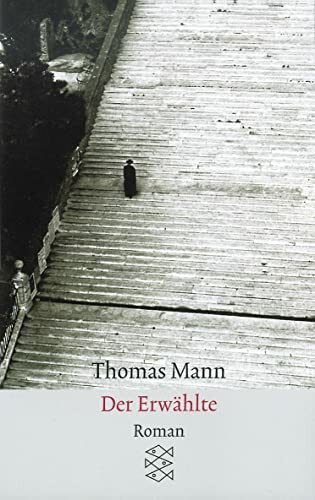 Roman by Mann, Thomas: Fischer, Frankfurt 9783596294268 Mass Market Paperback - German Book Center N.A. Inc.
Book Condition: Very Good, except a noted. Our stock includes sections on (mainly) German Literature, literary studies (Germanistik), Philosophy, History, Music, Judaica, Lingusitics, Art, Travel, Psychology/Sociology and Children's Books. We began listing on abebooks.com over 10 years ago, but still have a long way to go in listing all our titles. We welcome enquiries about titles we may have but are not yet listed. We also sell new books and can obtain most books available from the German- speaking area of Europe usually in 1-3 weeks, depending on the shipping speed you select. We require prepayment. Apart from paying for your order with your credit card on Abebooks, you may also pay by check or money-order. Kaeufer in Deutschland (oder in anderen Eurozone-Laendern) koennen auch den Betrag ohne Gebuehr auf unser Postbankkonto Frankfurt/Main ueberweisen lassen. Orders usually ship within 2 to 3 business days. Shipping costs are based on books weighing 1 LB, or 0.5 KG. If your book order is heavy (particularly if you order a multi-volume set) or oversized, we will contact you to let you know extra shipping is required. If you are outside the U.S. and order a small item we can usually ship it to you at a lower rate than shown. And if you order more than one smaller item it may be possible to ship 2 or 3 or 4 small items for little more than the price of one. If this is possible we will reduce the shipping charge on your order. If you are in doubt, just ask and we can quote a shipping charge. Bookseller: German Book Center N.A. Inc.